书籍简介: This book is about organizational survival: the reasons why organizations do not always survive, and what can be done about it. Unsuccessful organizations are distinguished by their failure to overcome thinking and behavioural flaws at personal, organizational and community levels. In this book, we explain what these flaws are and how the scenario approach helps senior managers and organizations to overcome them. Our approach is based on reasoning, research, real world observations - and a long track record developing scenario-based thinking, combining the most effective elements of the many scenario approaches that have been tried over time. Why scenario thinking is increasingly important: how it has developed as an approach that can help build successful strategies and organizations. How scenarios are valuable in overcoming an obstacle or problem - current or potential - by enabling innovation and creative thinking 'outside the box'. How scenario thinking can be used to resolve organizational flaws by enhancing the strategic conversation. How to understand the scenario approach in the context of effective organizational learning and development. How to ensure that scenario thinking is included in a wider strategic and organizational learning framework, essential for organizational survival. 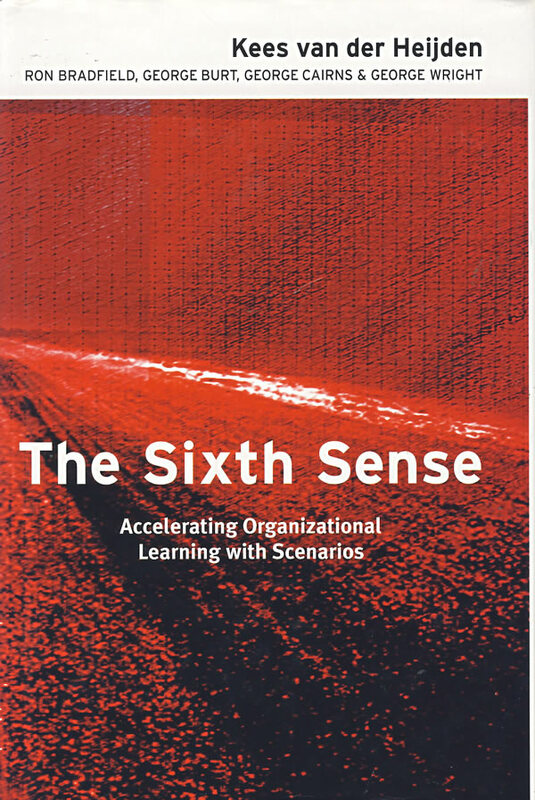 Outlining the benefits and techniques of scenario thinking The Sixth Sense shows that scenario thinking is purposeful and effective in driving strategy and organizational development towards managerial and organizational success.